For any dance lover balletLORENTS’s adaptation of Snow White is not one to be missed. 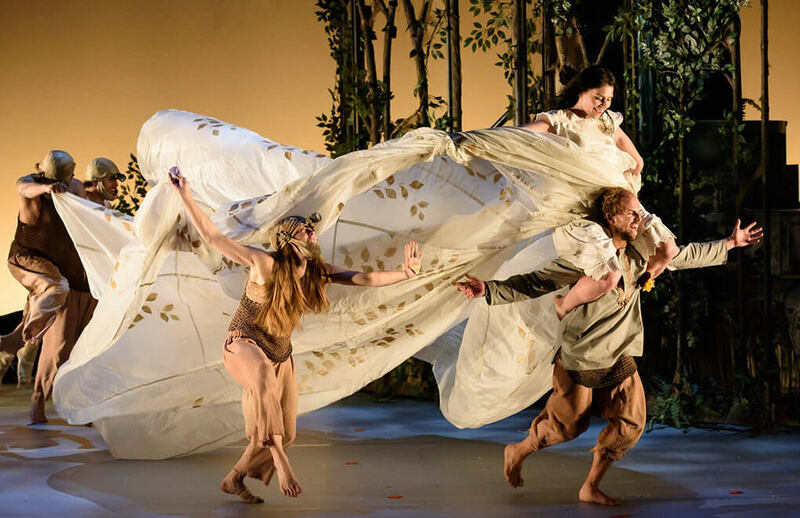 Appearing in Pontio’s Theatr Bryn Terfel on the 11th and 12th, this fairytale tells the story of a mother’s jealousy and of miners who reveal the importance of inner beauty. It’s Directed and Choreographed by Liv Lorent and was written and adapted by the Poet Laureate Carol Ann Duffy. The music is composed by Murray Gold (Who wrote much of the Doctor Who soundtrack) and features soprano Elin Manahan Thomas, who was recently awarded her honorary doctorate at Bangor University. Welsh National Opera in Venue Cymru. The WNO are performing several Operas in Venue Cymru this month. If you book over the phone in advance, there is the option of booking a £5 ticket. The WNO are performing two Shakespeare themed operas, Macbeth and the Merchant of Venice, as well as performing the musical Kiss Me, Kate. BBC National Orchestra of Wales in Pontio. Once again the BBC National Orchestra of Wales are traveling up from Cardiff to perform a series of concerts as part of their BBC NOW on the Road Tour. The two different concerts contain a piece based on the traditional Welsh Folktale of Rhys and Meinir, whilst the other concert contains the Die Fledermaus Overture by Strauss II, Elgar’s Cello Concerto and Brahms Symphony No. 4. Russel Kane is coming to Galeri. After recently filming the BBC Programme Stupid Man, Smart Phone Russel Kane is touring with his new show Right Man, Wrong Age. It has received great reviews from both the Evening Standard and the Times, both giving it 4 stars. Bonfire Night – It’s time to get out and to see those fireworks. Everyone and everywhere is doing something. There will always be students standing on the end of Bangor Pier trying to watch the fireworks in Beaumaris, Caernarfon and in Bangor, all at once. Keep your eyes peeled for Facebook events, as they let you know where and how much a display might be. Also student clubs and societies usually hold an event in conjunction with bonfire night, so keep your eyes peeled for what your club or society might be up to.